Are you paying too much for your auto loan? Make the switch to HFCU today and start saving money! Take advantage of our incredible auto loan rates as low as 2.99% APR*, with extended terms up 84 months, and let us see how much money we can save you by driving down your payment. 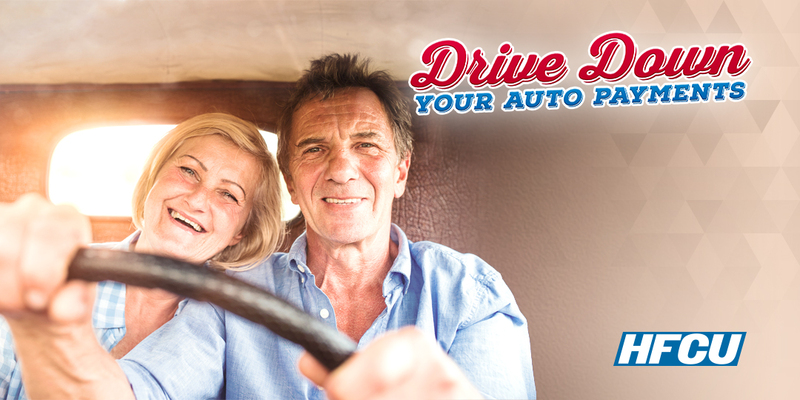 Apply for Your Auto Loan Today and experience the Credit Union difference with HFCU! You can also stop by any of our convenient locations, or call us toll-free at (844) VIP-HFCU.